Are you looking for a Hostel in Puerta del Sol?Mola! If you are looking for a Hostel in Puerta del Sol in Madrid you have found what you are looking for! Mola Hostel is just 400 meters away (a 4 minute walk) from the clock with the famous chimes that all Spaniards follow so see out and welcome in every year. The hostel is in an excellent position for visiting all the tourist attractions while strolling along lovely streets. Reaching the center, as in any western city, is really easy. 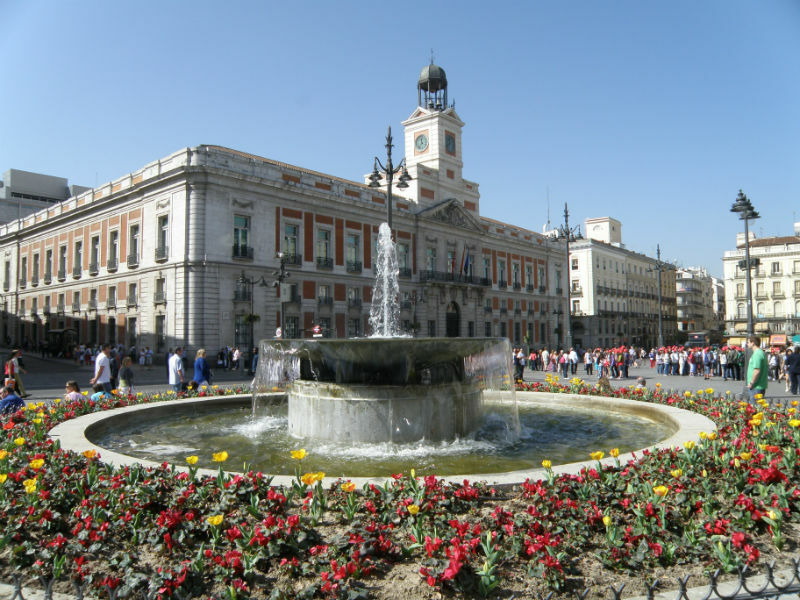 And, with regard to Madrid, staying in a hostel in Puerta del Sol is without any doubt your best option. Whatever mode of transport you use, you are unlikely to get lost when trying to find Mola Hostel, but don’t try and come by boat;-). 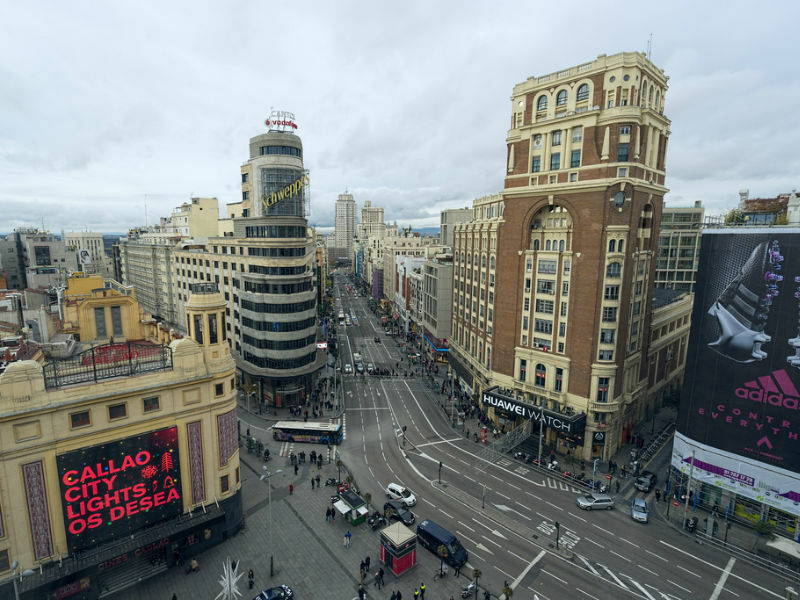 If you ask anyone “Where is the center of Madrid?” everyone will give you the same answer “la Puerta del Sol”. This is because it is precisely here where “kilometer zero” is to be found, from where all the roads in Spain radiate out. From Mola! It will take you 3 minutes to get there. Princes, princesses, kings and queens have strolled down the streets of Madrid, and they continue to do so, but the first royals arrived in the 16th Century when Madrid’s population barely reached 30 thousand inhabitants. It seems difficult to believe but, according to the latest census, there are now more than 3 million people in the inner city. 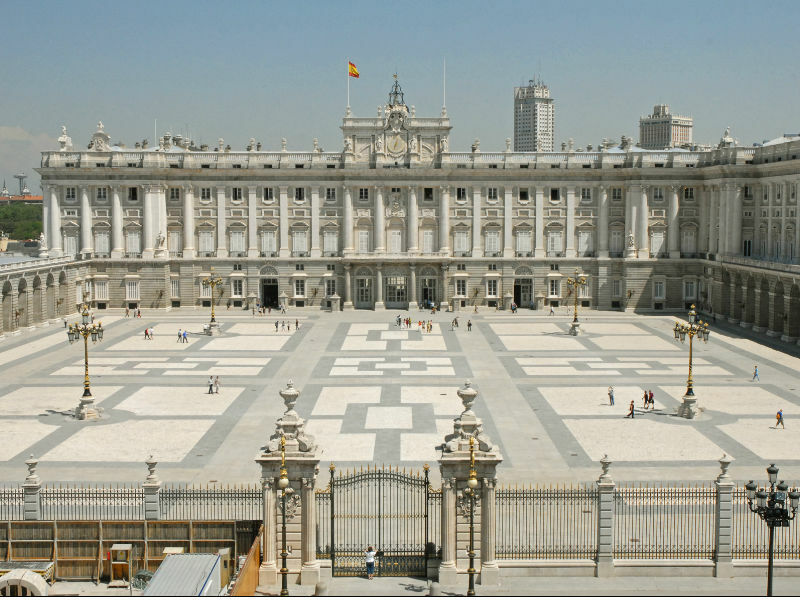 Philip II, the first king to settle in Madrid, began expanding and developing the city. It was this king and his dynasty, the Austrians, who were behind the first historical and tourist sites: the Royal Palace and surrounding gardens, the Plaza Mayor, Calle Toledo, Plaza de la Paja, Calle Segovia,….Strolling through this labyrinth of streets will transport us in time, but with no need for the DeLorean in Back to the Future. 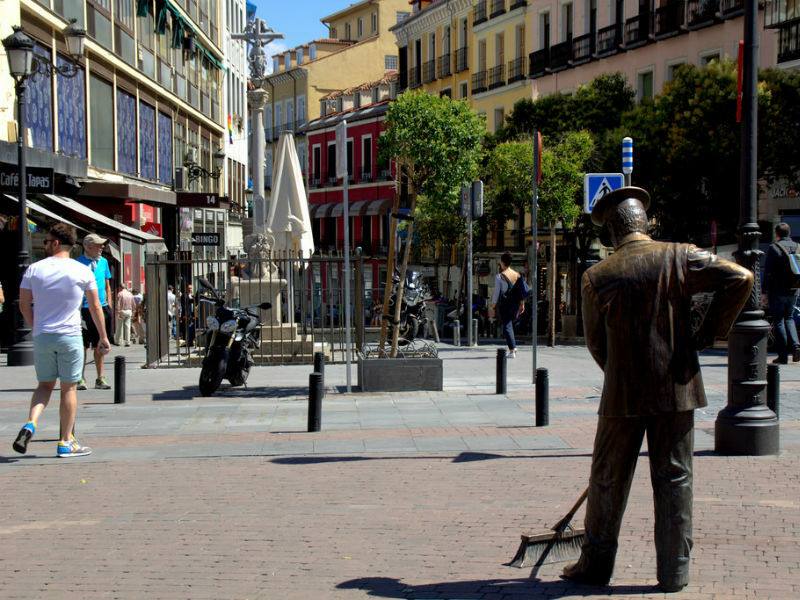 Mola!Hostel is in a centrally located square called Plaza de Jacinto Benavente. Jacinto Benavente was a Spanish playwright in the 19th Century who was awarded the Nobel Prize for Literature in 1922. This is rather curious as, when he received the prize, the square in which Mola!Hostel is situated did not actually exist. It was four years later, and after a few buildings were knocked down that this space was opened up, and it was in fact used by the Bank of Spain as its headquarters during its early years. If you find all this interesting, there is still a lot more! Madrid is full of interesting stories. What are you waiting for? Come and visit us! Not everything is History. Modernity, the latest trends and entertainment are all to be found on the Gran Via, just a few minutes away on foot from your Hostel in the center of Madrid. Mola! The flagship stores with the best known Spanish fashion brands take up several floors of the buildings that line this avenue in Madrid, and getting away without a bag in your hand is quite difficult…But consumerism aside, the best cinemas and theatres are to be found here, and the street is known as the Madrid Broadway. 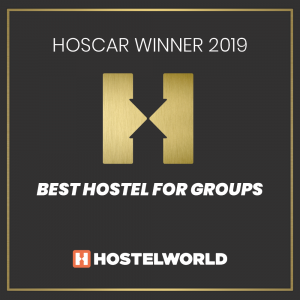 Should you need a ticket for the best musicals Mola!Hostel will help you. 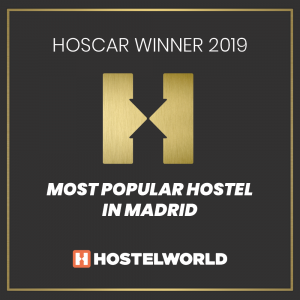 A hostel in the center of Madrid? Mola!